In this highly specialized soccer camp, players will learn the skills, techniques and tactics that goal scorers need in their arsenal. Daily camp sessions will feature age-appropriate games and drills that encourage risk taking in goal scoring situations. Space is limited. Open to 2nd-8th grade girls. 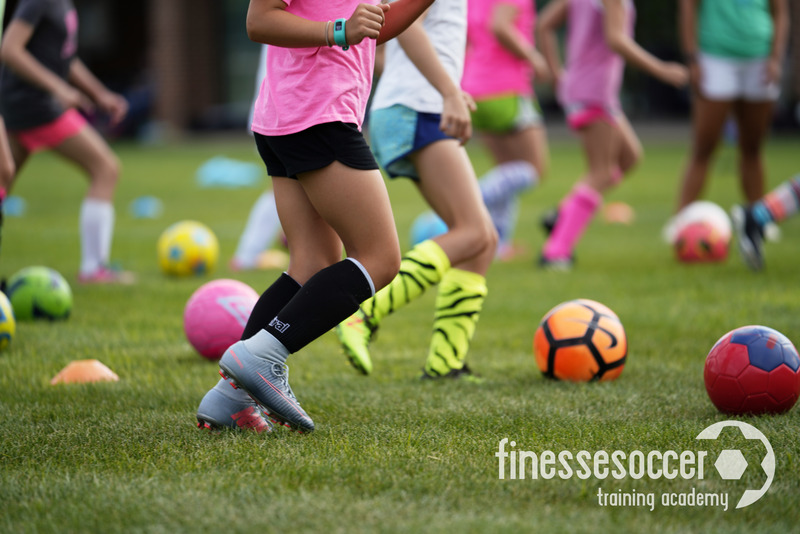 This exclusive goal scoring camp is run by Finesse Soccer’s founder Carrie Fry Robinson, All-American and Kansas 6A goal scoring record setter. There's a mentality that goes hand in hand with the best goal scorers in the world. A mentality that is willing to take risks and put it on the line to get the ball in the back of the net. Good players find themselves in a wide range of goal scoring opportunities. Our goal at camp is to provide players with the techniques, tactics, mentality and tricks of the trade so they can strut their stuff with confidence in matches, burying goals and capitalizing on opportunities. Friend & Team discounts available! Players will be grouped by age and skill at camp. Friends and teammates will be kept together.